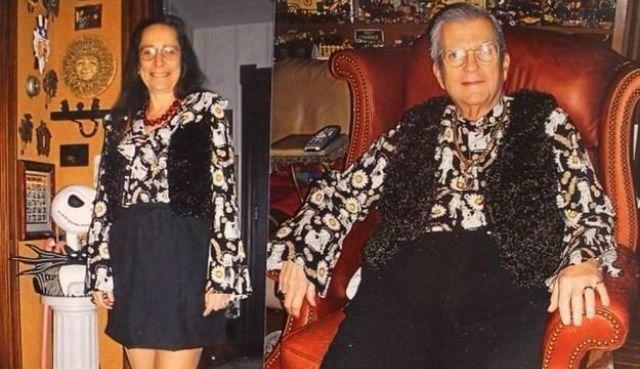 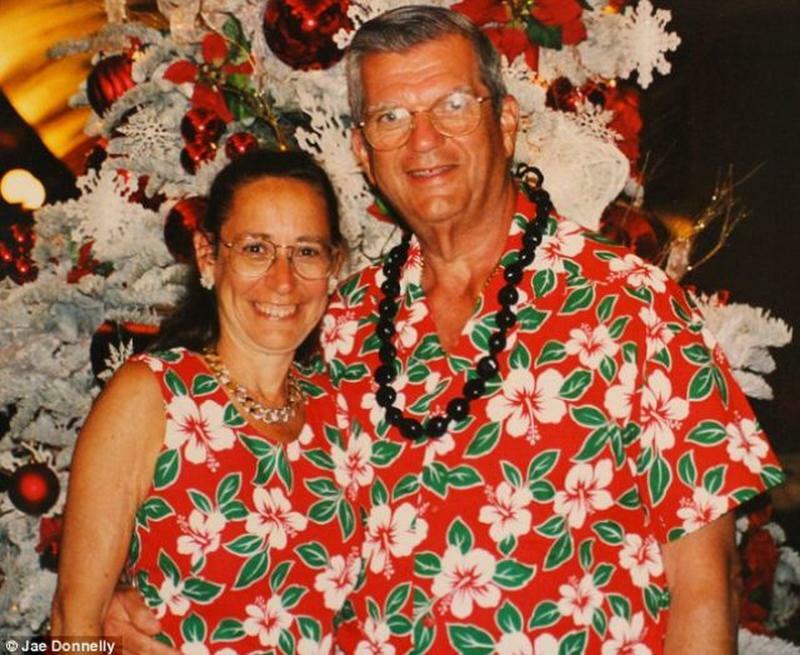 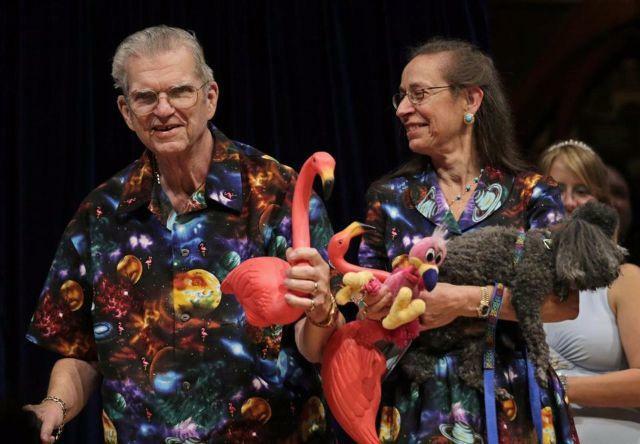 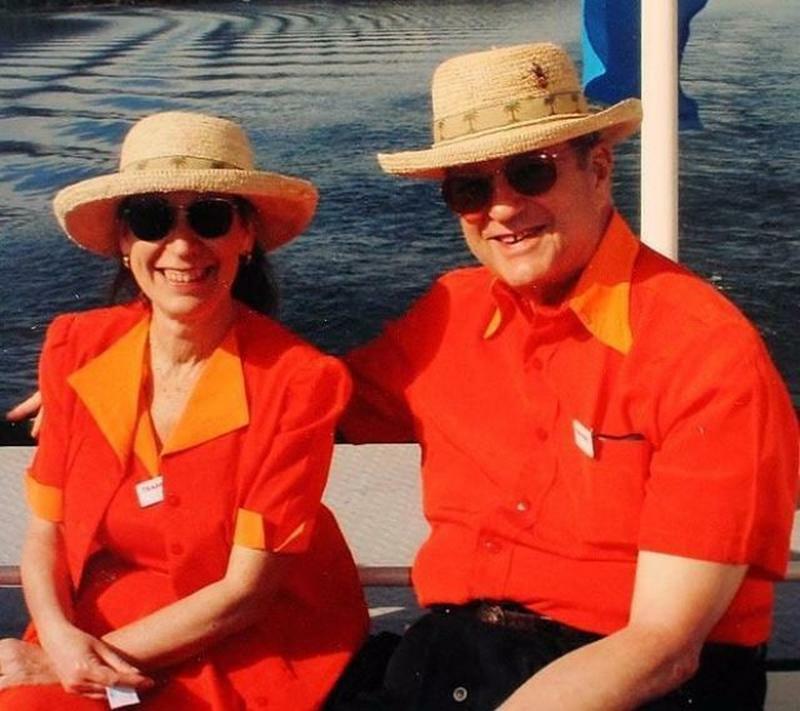 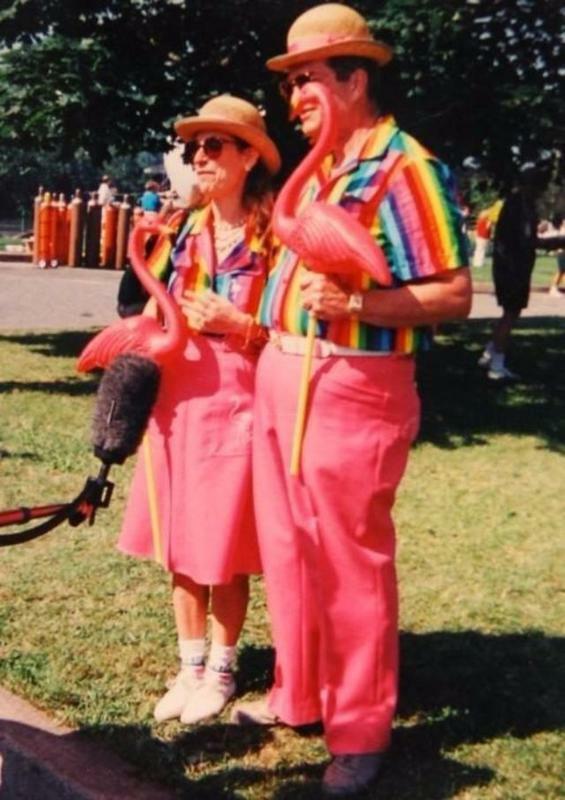 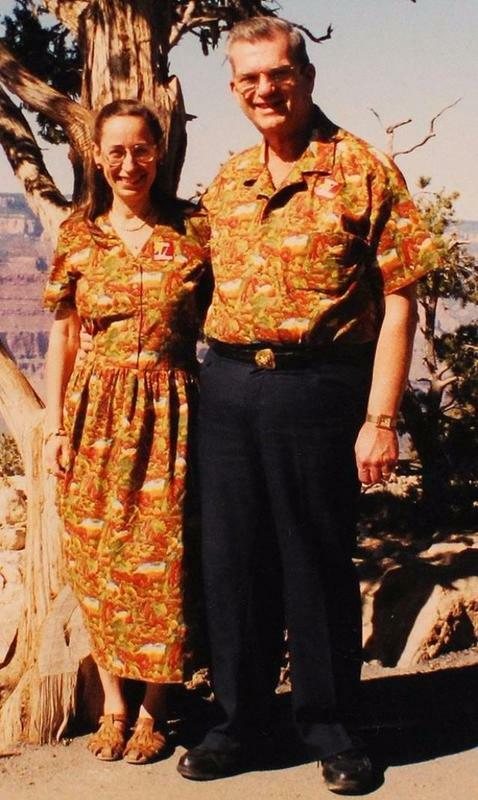 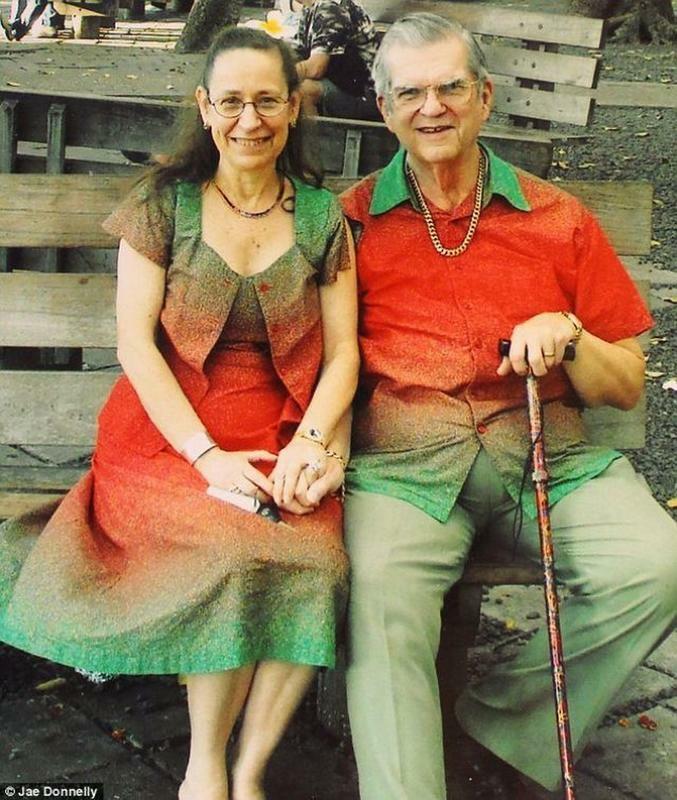 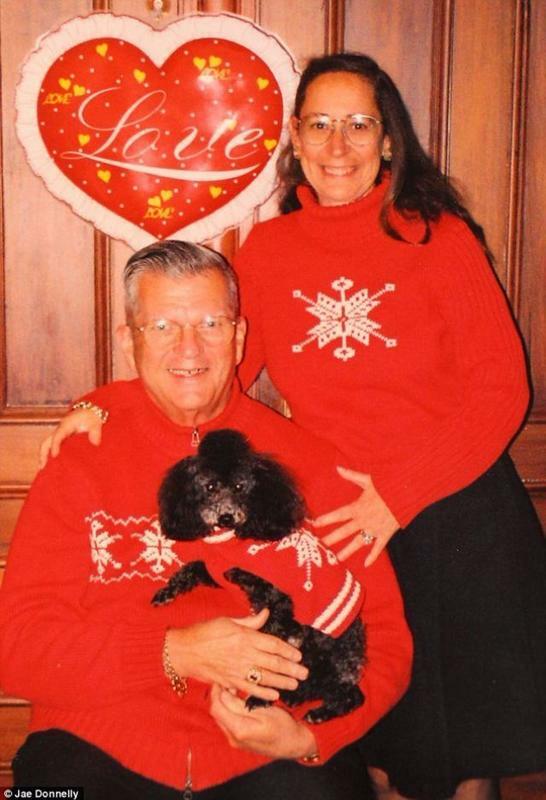 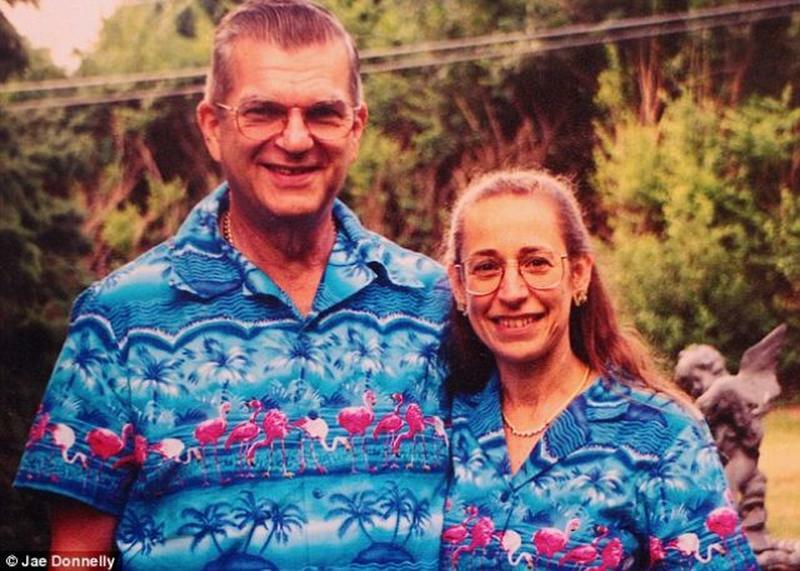 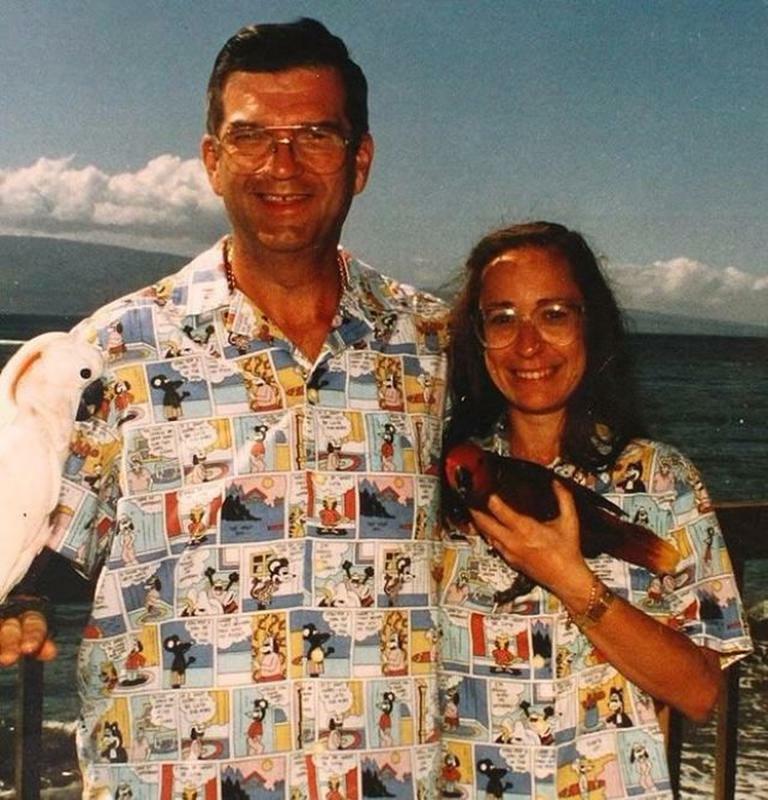 Donald Featherstone, who hit it big after inventing the plastic pink flamingo lawn ornament in the late Fifties, and his wife Nancy, have dressed alike every day for 35 years say it is the clearest way of showing that 'we're together. 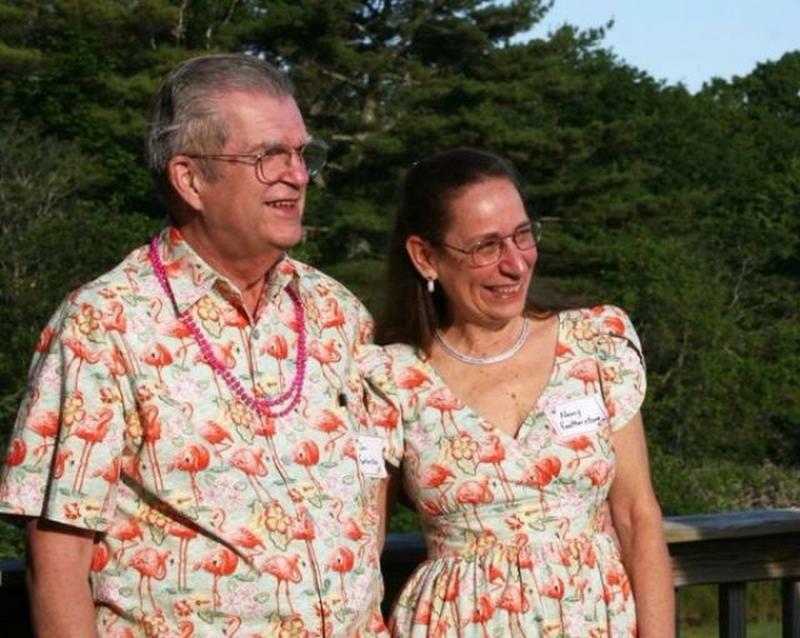 Donald said that they even phone each other when they are not together to ensure that their style is in sync. 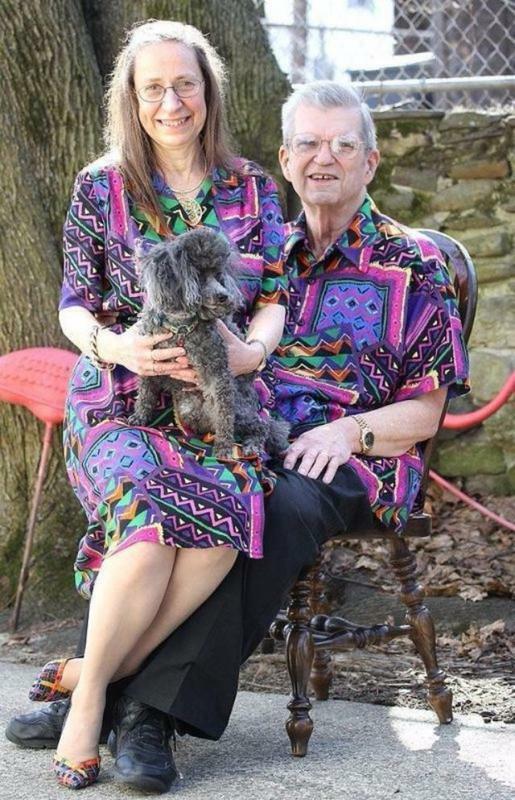 Their closet houses their unique fashion collection which includes 600 custom-made outfits and dozens of identical accessories. 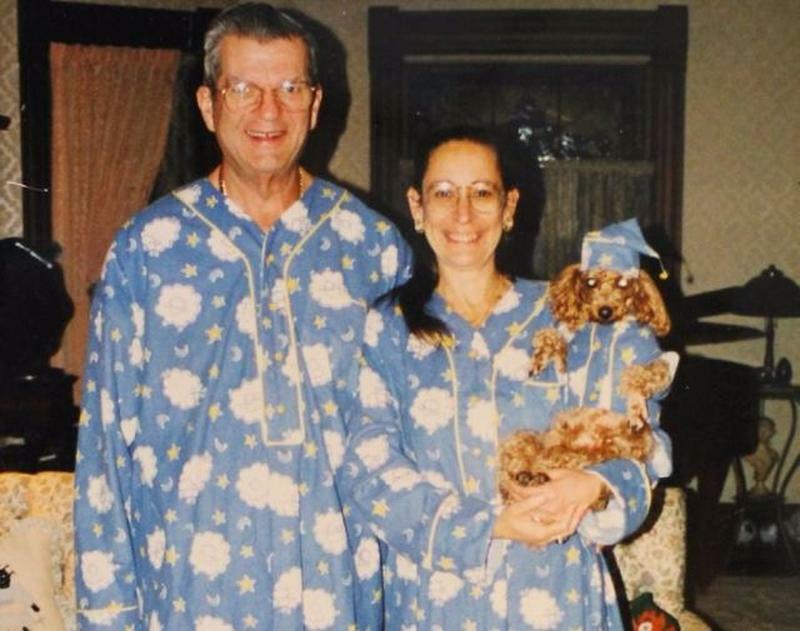 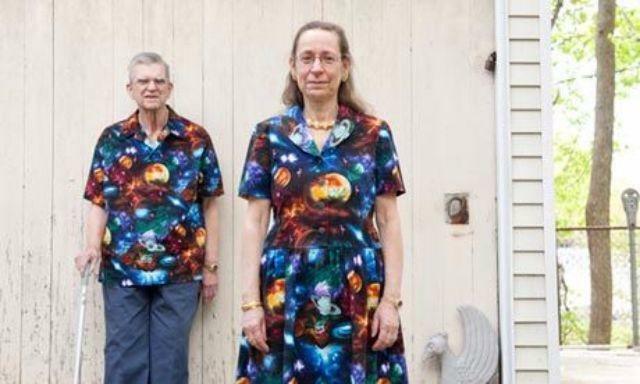 Nancy first had the idea to make matching garments after she remembered a tradition at Jennings Junior High School in Missouri, where couples wore matching shirts to the end-of-year dance. 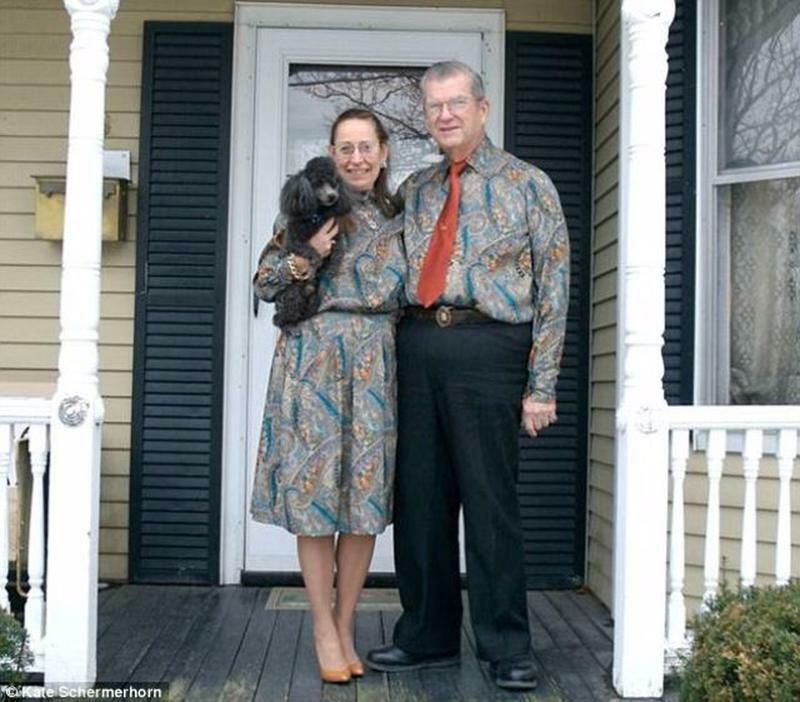 It was in 1977 that the couple first slipped into the same looks - a pair of polyester 'play shirts'. 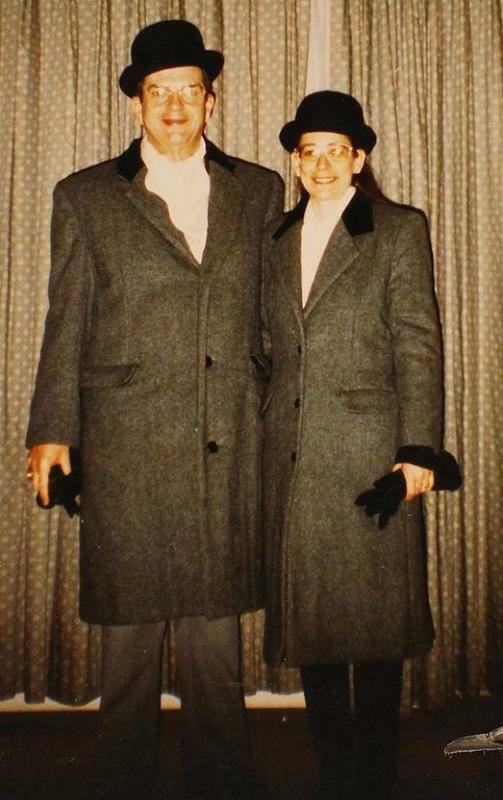 Then on Easter Sunday of the same year Mr. Featherstone wore slacks, a sport coat and pink silky shirt while Nancy donned a pink, silky dress. 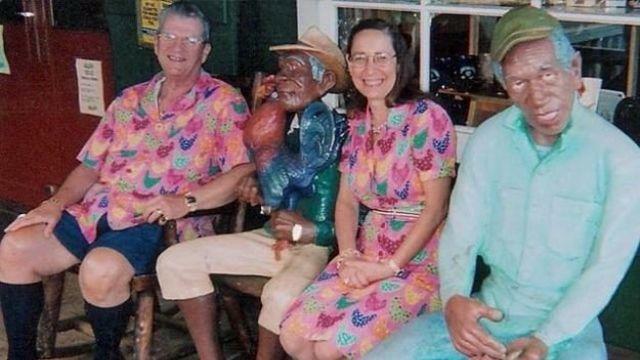 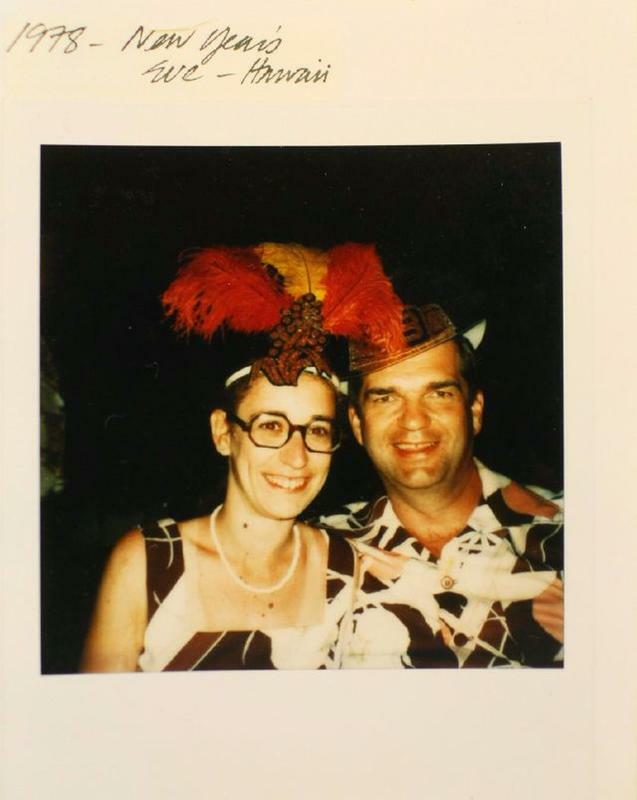 The couple's dressing-up habit soon became a full-blown obsession and in 1980 the Featherstones went full-time. 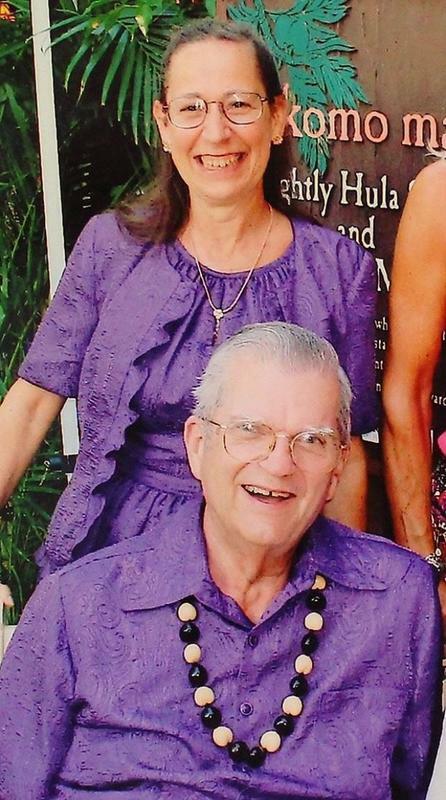 On June 22, 2015, Donald Featherstone died from Lewy body dementia at the age of 79.